Makes calculating distances and areas for projects incredibly simple! 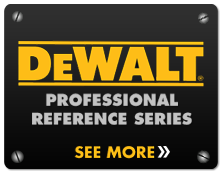 This app is exactly what you need before you call your local handy person so when they quote you on materials you should be right on target. Thanks great app!! 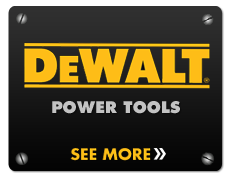 Been a fan and user of DEWALT tools for years. 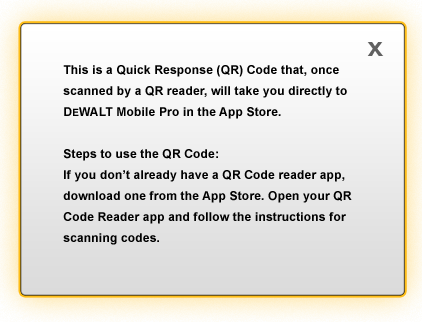 Drills, grinders, saws, a little bit of everything and they have all been solid… Used [DEWALT Mobile Pro] for 10 minutes and jumped all over the pro version! Formulas for everything!... To the big contractor or the handyman in the corner, ‘If you’re trying to sell your services, you better come correct! I have used many construction calculators but this one is different. This app is simple to follow and follows the logic and steps I use each day when I am in the field working through problems that rely on math to solve. I love the overview and examples that are provided because they are easy to follow and understand. Just started using this. Really surprised to get a full foot/inch calculatorfor free. The template approach is really smart. Planning on adding more packs. What a great tool! 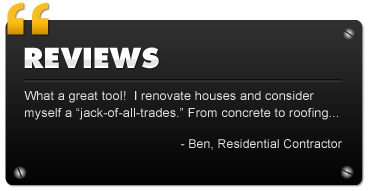 I renovate houses and consider myself a "jack-of-all-trades." From concrete to roofing, this product has endless applications in my line of work and I consider it to be an essential tool. It is easy to use, convenient to keep at hand, relevant, and offers much more than similar products I have experimented with in the past. If you estimate, calculate, or renovate — I highly recommend it. It eliminates having to keep track of notebooks, pencils and carrying a separate calculator and it fits in a pocket. Almost any calculation I need is at my fingertips.